Fiction Or Nonfiction? Memoir Or Novel? Know What To Call Your Story Or Book - Writer's Relief, Inc. Occasionally, we at Writer’s Relief find ourselves working with a writer who doesn’t quite know what genre he or she is writing (fiction or nonfiction). Let’s say a book or story is based loosely on the author’s real-life adventures. Perhaps the names have been changed. Or maybe one or two little things have been altered, but the story is largely factual. Should this story be called fiction or nonfiction? If the story is in book form, should it be pitched as a novel or a memoir? Here are some scenarios we’ve run into, along with suggested solutions. SITUATION ONE. The author has written a book based on his life. The story is faithful to his experiences in the way that all creative nonfiction tries to recreate stories from memories as accurately as possible. The author has changed the characters’ names to protect identities, but otherwise everything is true. (Writer’s Relief tip: Changing a person’s name will not necessarily protect you from a lawsuit if your characters are recognizable as real people. Learn more: Creative Nonfiction: How To Stay Out Of Trouble). The problem: The author values his life experience and wants to pitch his book as a memoir. But the names have been changed, so in that way, it’s not entirely truthful. Solution: In your query letter, explain the situation clearly: My book is an accurate memoir of my life story, though I have changed some names. SITUATION TWO. An author has written a book based loosely on her life. The story is very familiar to her because she has lived much of it. She has changed characters’ names. She has also taken liberties here and there in order to make the story more compelling, and she amped up her ending to be a little flashier. The problem: The writer knows that small parts of her tale are fictionalized (perhaps she added a pet dog, a villain, or a love interest), but the larger story is mostly true. Because her real-life experience is so out of the ordinary, she feels it’s important that readers understand that the things she’s writing about actually happened to her (for the most part). Is this a memoir or a novel? 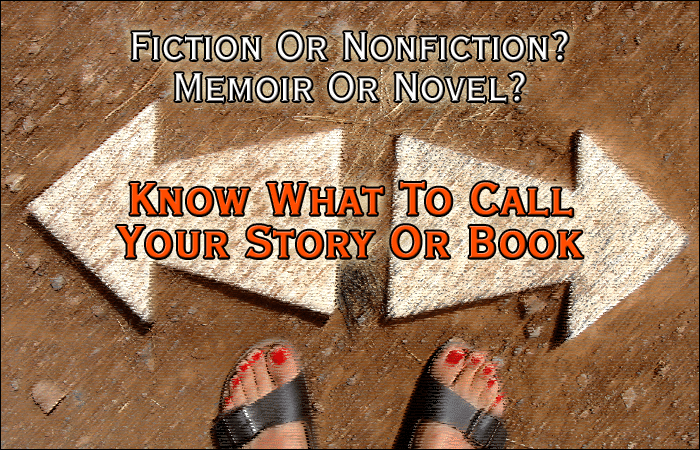 Fiction or nonfiction? Solution: In this case, we feel the author would be best served by calling her story a novel. Memoir promises truth, and so if the book is not as truthful as the author can possibly make it, then it is not a memoir. In her professional writer’s biography, the author might note that her own story is similar to the story of the novel—though not exactly the same. SITUATION THREE. A writer has a friend who has an unusual life story because she was a professional spy. The writer gets his friend’s permission to write a story about everything that happened to her. The problem: The writer is responsible for what he writes. And so if the writer’s friend is feeding him inaccuracies—intentionally or not—the writer will be responsible if/when the book is published. Research is key. All sources must be verified. Solution: If the writer has done his due diligence and all facts are backed up with proof, then this book might be best pitched as a biography. But if the writer can’t perfectly attest to the truthfulness of his friend’s story, then this book might be best pitched as a novel—and it should probably be quite fictionalized to protect the subjects, the writer, and the publisher. Still not sure what to call your story? If you’re not sure whether or not your book is a novel or a memoir, you don’t necessarily have to worry too deeply about it while you’re querying literary agents. Your job as a writer is simply to write the best book you can. You can learn more about short stories, essays, and mixed-genre pieces as well in order to decide what to call your work. Finally, you can always call your project “a story inspired by real-life events” or “a work loosely based on my life.” If a literary agent or editor is interested in your project because you’ve got a strong story and a unique voice, then it’s likely that he or she will be happy to talk with you about the most appropriate way to publish or pitch it. Learn more: How To Write Fiction Based On Real Life. THE MORAL: Always be honest. If parts of your story are fabricated, say so. If you’ve changed nothing but names, say that as well. As long as you’re being honest, you have nothing to worry about! Remember, our team of submission strategists is here to help. We’ve been working with creative writers since 1994 to help them navigate the publishing industry. And we’re standing by to help you too! QUESTION: Do you base your characters closely on people you’ve met? Or are your characters born mostly of your imagination? ← Featured Client: What About Bob Rice? Thank you for this informative piece. However, I’m still not sure about the story I’ve written (not published at this point). It’s a story about my grandfather who attended a boarding school over 100 years ago. The students were mistreated horribly, and that plays a huge part in my story. I’ve used some real names, and I’ve also created some fictional characters and situations. I’ve based some of it on newspaper accounts of former students’ real experiences which were published decades ago. I could change all of the names, and I’m sure no one would even recognize the school or the people involved. I’m still not sure of the genre. Any assistance is greatly appreciated. It sounds like your book is fiction. A lot of fiction is based on real events, but isn’t biographical. Hello. I am making a book that is fiction, but it is based on fact. What would this be called? The book is about things on the internet, such as trolls and viruses, but it has comedy in it which isn’t true. Example: “Fandoms will get angry if you insult whatever they are obsessed about. Punishments to insulting may include being called a Fake Fan, getting “The Silent Treatment”, being hated on, or being sucked down the black hole that the Fandom bought from the Online Marketers.” Obviously, you aren’t going to get sucked into a black hole if you insult fandoms, but you definetly could be ignored or be hated on. See? It is based on fact, but it is also fiction. So what genre is my book? I just want to say this webpage has helped more than a certain well published relative of mine…not sure why family wouldn’t want to help family! Maybe I will incude a scenario like that in my novel! We’re not lawyers, so we cannot offer specific legal advice. We would recommend consulting a lawyer with experience in the publishing industry. If I want to write a story (fiction) inspired by real-life events of Donald Trump and keep the real name, what do I call that? Also can I do that lawfully? Great article, but I still can’t seem to figure out my genre. I’m writing a book that is not exactly a narrative since it talks about the human nature and describes the factors that define us as humans(e.g. curiosity, fear, greed, etc…). It is narrated by the human mind, and it portrays every factor in a story form as if they were characters. I read a lot about book genres and the closest I’ve come with this is that it’s a philosophical book, but I’m not every sure. A lot might address it as fiction so I’m confused. Anna, that sounds like fiction to us, due to all the fictional elements of the story. I am still a bit confused about my situation. I am thinking about writing a story that is partially true, based on my real life events, but I am changing it greatly to create a fictional story. Im concerned because it is about my time spent in the military. I think it will have to be fiction, because most of the story will not be true. It is very hard to describe without giving out too many details. For example, what if I wrote about a man I know (instead of me), who was drafted into the military in WWII, he was a pilot,that is the true part. The fictional part could be something like missions he did as a pilot that are NOT true, and some of the characters are loosely based on troops he worked with. A lot of what the story is about is true, like the life this man had and things that happened while in the military are true, yet his missions, reason for being drafted due to his skills, and characters are not true. Any suggestions? In writing on true events in a fictional story if you have articles on detailed interviews with the actual figures and present a story based partially on some of those interviews without taking liberties with the your fictional character is that acceptable to write about the true events? I wrote a book about my love life. The story is true. I only changed the name of the main character to protect my friend. But the events, dates, and everything is true. I included real emails and text messages and Facebook conversation. Some events I exaggerated a little to add emphasis or make a dramatic scene. But the story is 99% true. Is this a fiction or a nonfiction? I label it fiction because it is not 100% true. What are your thoughts on what my book genre should be? Sally, would that be roman à clef? Thanks for the reply. A Memoir it is. It’s 100% a nonfiction category, based on a true story. I’ve taken lots of notes. I’m in the process of completing the book by year-end, or later. 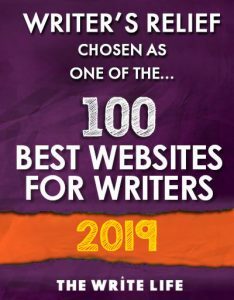 I will be checking out the Creative Nonfiction: How To Stay Out Of Trouble; the query letter site, the querying literary agents site; it will definitely be “a story inspired by real-life events” – and, I will definite be calling on and using your team of submission strategists. I also will be looking and learning more about constructing my proposal or query/cover letter. I will be getting more information on the ineligible for publication, and your free publishing tool kit for writing tips! I want to be on the right path, going in the right direction, when I’ve completed and ready to take the necessary steps with my manuscript. In order to do this the right way, I must acquire an Agent. I’m all in for an agent; especially, one who is very helpful and interested in representing my book project. Whoever he or she will be, I trust that they will help me navigate through all of this, and market it properly. I guess working with Literary Agents and Agencies will insure that my manuscript gets to a publisher’s desk. ASAP! I will seriously check out a variety of agents online. I have overwhelmingly found your article and this site to be very helpful in my quest as an Author and getting this categorizing Memoir (book) published! Jim, that sounds like a memoir to us! Hello. I also appreciate your blog, sincerely. I am writing a book based on the many transformations my life as a baby-boomer from the 50s till now. From birth in the South, migration to the north, and the struggles, life experiences, the diversity of cultural fun and experiences I’ve had and the business successes I’ve grown to be. There are numerous inspiring messages for people of all ages and races. The reason I am writing this book is because I’ve learned so many things during my life span. I want to share those things with America and help motivate people in all walks of life. I believe I have arrived in my life enough to share my story by writing a book and getting it published. The Book is total about my life with real events that occurred. Places are names i.e., schools attended; There are names named i.e., my mother, father, aunt, grandparents and great grandparent. Names and addresses of streets I’ve lived and housing communities (projects). It’s a 100% true story; (factual account) nothing is fabricated. The events are accurately portrayed. It is definitely “based on a true story” and “based on my life…” There’s not much dialogue – what little, if any isn’t line-by-line accurate. There are quotes. It has much of a historical tone to it because much of when I lived, where I live and the experiences I encounter were historical events, places and paradigms. The genre I believe will be ??? Thanks for your ear and responses. Kay, we certainly believe you can write this book and get it published! If you need help, try some of our writing tips! As for genre, this seems to have all the makings of a memoir. That sounds like a memoir to us, supergirl. Try our free publishing tool kit for writing tips! Hi. I really appreciate your blog. I am starting to write a book based on my story. The struggle i had and going through right now, based on that but still there are inspiring messages for people. The reason i am writing this book is because i learned so many things during struggle and changed my mentality. I want to share those things to world and help & motivate people especially young who can get some idea about dealing with problems in life so that they wont make the same mistake which i did. Also I want to make little bit money out of it as well. Now I havent suceeded in my life yet so do you think at this point I can still write a book and publish it ? If so, then what genre will be. Thanks. i am planning t o write a complete story of my life with all the details in it.some of them maybe problematic for :p bt i dont want it to be a boring one neither do i want to alter any part of it.that s y i am thinkin to write it in sub stories and then collecting it in one book.and to make it good to read i will write it in a beautiful way by using good pharses for which i will be getting help.but i am still not sure wht wil it be called. (genre) n how should i start wrting it as it is my first piece and i am not writng it for a professional thing but for a less social purpose. n after completeing dis.i wil write short stories or memoirs based on d same. Because you have added some fictional elements, we would recommend categorizing your book as a novel. Sounds like a biography to us! Thanks so much for coming across this site. I am writing a book about a woman who is still alive; her works and achievements. What do I call it? I’m still unsure of what to call my story. It’s about a supernatural experience my mom said to have had. She isn’t really the impulsive liar type, and her story seems true. Though, some people don’t believe in ghosts and may call me a joke. I’m not sure if calling it fiction will insult her or not so… Any ideas? You’re welcome to personally call a body of work whatever you want. However, when you’re approaching editors or literary agents, they ask for an identifying genre between fiction, memoir, and other nonfiction. It’s important for how they see your book being marketed. Why can’t you call it whatever you want? I think A Heartbreaking Work of Staggering Genius broke some barriers here. I have heard of “fictionography” and other such terms; these days, why can’t you call it whatever you think it is? I’ve written a memoir and now after reading this site I wonder if legally I need to write a novel. Much of my memoir is based on criminal acts perpetrated by a relative, and how that altered the course of my life. I reported the crimes to authorities. It’s considered a cold case with an ongoing investigation. I wouldn’t be able to mention the person’s name nor details of their criminal acts. I changed the names of people in the memoir. However I don’t believe it’s enough to change the names and details of the criminal acts. I wonder if it could be written as a true life novel. I’ve been looking over some of the comments and it’s made me realize there’s a significant area that hasn’t been addressed: Narrative history. When time has made it impossible to verify certain details (like what goes on in a specific conversation, or if you have equally contradictory versions of an event), how much can you guess about before you cross the line into fiction? Thank you for going a long way towards clarifying this issue. I have written what I called an “historical novel” as it involves “true” events and characters in history from ancient times down to the mid-twentieth century, but my main characters are the fictional ones. I never once thought that I should call it “fiction based on fact” or something like that. Now I’m writing what I call a “memoir” and struggling with the need to change names (even if people have passed away) and even modify events slightly .. though after all each person’s memory of the same event usually differs. Even with these changes, I’m glad a can still call it a “memoir”. Dear Akim, we’re happy to hear you found our article helpful! Because we help authors seek publication for already-written works, we can’t offer you any specific advice on how to pitch a story line. You might find some helpful information in this article though: Pick Your Pathway: How To Turn Your Book Into A Movie. Thanks for this information. I have always been confused about how I should address my writings, I am now very clear on what my genre is. I like to loosely base my writing on real life experiences with ellaborations to spice up or have a lesson to it all ending. I also have a question. I have many ideas for books or screen plays but don’t necessarily won’t to write about it. Is there any way to sale or pitch a story line? Hi Marisa, actually, you wouldn’t send your work directly to publishers, but to literary agents and agencies. Publishers almost never take unsolicited work, so you need to send your work out to agents and hope they become interested in representing your work. The agent, in turn, would be the one to pitch your work to publishers and get you the best publication possible. Check out a wide variety of agents online and be sure to read their guidelines to see who prefers what genres/subgenres! Thanks for the clarification! I was unsure whether to do my writings as a memoir or a novel and have chosen to take the novel route. I was curious though as to what steps I would take once finished with my proposal. How do I go about making sure it gets to a publishers desk? I can mail it to different publishers but how can I be sure that it’s going to get read? Michelle B., Thanks for your questions. You won’t get in any trouble for presenting your manuscript as truth-based fiction, but you’re probably also safe to call it a memoir. As we state in the first point of the article, a memoir is still a memoir if names are changed or dialogue isn’t line-by-line accurate (as long as you’re clear about that when querying agents). But you won’t be expected to remember every detail perfectly as long as you’ve written an accurate representation of people and events, and you’ve done your best to be as accurate as possible. And, keep in mind, if an agent is interested in representing your book project, he or she will help you navigate how exactly to choose the genre and market it properly. In regard to your second question, we can’t really respond to that specific a legal issue. 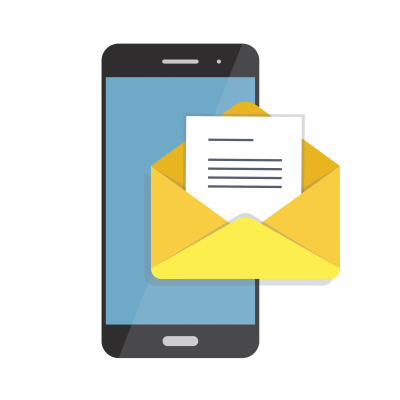 We try to cover a general-safety overview of topics for writers, but we can’t respond to your specific case. You’ll need to seek counsel from a legal expert, or just fictionalize some of those people, places, or events that might make those individuals easily recognizable. Hope this helps, and best of luck! Also, I know that in order to protect yourself from libel, you must change the names of the characters and identifying characteristics, i.e. job, school they went to, etc. But since my novel is based on true events and people, the events alone are enough for people who are familiar with some of the events in the book, for example, a main character’s group of real-life friends, to identify him as the character if they know that I wrote the book. Am I reaching too far? Or is this a valid concern? I know you can into legal trouble for labeling something that is actually fiction as non-fiction, but can you also get into trouble for labeling something as fiction that is actually non-fiction? I ask because the story I am writing is based very closely on my own personal experiences. The majority of it has actually happened, the characters are based on real people, etc., but I have invented some conversations that I didn’t remember specifically, changed names, etc. I would prefer to pitch this as a novel “based on true” events, but wanted to make sure I could still do this when the majority of the story is true. Thanks for the help and for the article! Hi Elizabeth, I’ll see if I can answer all of your questions! From what I’m reading, you’ll want to label your book as fiction. “Nonfiction” suggestions that the book is nothing but the truth, so you can’t label it as that, and “creative nonfiction” still requires the events to be accurately portrayed, so you can’t quite call it that either. It would be best to truthfully note it as a fictitious piece, but note in the query letter that it is “based on a true story” or “based on my life…”, etc. That way, you’re not restricted by the facts, yet you can still use them for inspiration. Unfortunately, we do not do content editing at Writer’s Relief, so we cannot take a look at the book and critique it. Before you send it to a professional company, try letting a few close friends/relatives read it and see what they think. Books can go through many, many revisions before they’re truly complete, so it’s best to get as many opinions as possible. Don’t post it on the internet, however; you don’t want it going public and becoming ineligible for publication! If you’re looking for some tips, check out our FREE Publishing Tool Kit. You’ll find a myriad of useful articles there that can answer some of your questions. Hi Elizabeth, great question! However, your issue may not be as simple as Dutch vs. English writing, but to whom your writing is targeted! If your writing has primarily foreign themes, they might not go over as well for English readers who are unfamiliar with certain customs or traditions. However, if you work is more mainstream, or deals with foreign affairs in a manner that “teaches,” rather than honoring, certain customs, targeting your work to English readers would probably be the way to go. Look over your writing and see who would benefit more from your work: English readers or those who read Dutch? Hi Jane, Great question! This book would simply fall under the “Fiction” category, so that’s how your proposal should be labeled. In your proposal or query/cover letter, you can note, as close to the top as possible, that, despite the work being fictitious, it is based on a true story. Even “Creative Nonfiction” is a stretch, since the point of view is from a dog (or any animal in general), and the reactions and perceptions cannot be accurately assumed. Obviously, there are some exceptions to this rule, but in this case, it’s best to follow the advice of your evaluator. Hope this helped, and keep writing! When I’m writing my proposal for a work of fiction based on a true story, should I write a “fiction” proposal? Various ‘problems’ prompted me to write the book, which is written largely as a narrative with other facts and stories woven in. However, I was told by my (non-fiction) proposal evaluator that the fact that the “voice” of the book is a dog requires me to write it as “fiction based on a true story.” I don’t always see the category “fiction based on a true story.” Thanks in advance. What a terrific post! I have definitely been dealing with these questions in a lot of my own writing as I utilize people, conversations, and situations from real life all the time in my fiction works. This anthology is an experiment with reader response and desire for literary works to be either fact or fiction. It is a compilation of short stories, some memoir and some fiction, from a variety of authors. However, the reader is not made aware of the genre of any of the stories until the end of the book. years ago? All the events in the book actually happened. I was planning to promote it as, based on true events, but after reading this, I’m not so sure. Thanks for enlightening me. Carole, Sounds like a great book! Regarding name changes, that is a discussion that a literary agent would be willing to have with you later on in the process. If you leave your book as is and submit as a novel, you can then talk with an interested agent about the best way to revise and pitch to editors. Good luck! My book is a pretty much factual account of my being raised on a schooner on the Mississippi River in 1950s.I did receive a couple of encouraging rejections from agents. They both expressed a liking for the book,but said memoirs are a hard sell in today’s economy, especially if not “written by a celebrity”. I’m thinking of just submitting it as a first person novel. I could say it was based on some aspects of my life living aboard boats.Do I have to change all the names of real people? . My memoir (Whorehouse Diary) has the real working names of all the women who were prostitutes because they used phony names when they were working and most of them are dead anyway. I changed all the names of the men (even the dead ones) because they asked me to. I even used the pictures of the women to prove the accuracy of my memoir. Thank you for this article. I have written a children’s story about the struggles a child actually faced, and you have helped me understand how to decide what should be true to life and what to fictionalize. Larry, Good question! And, alas, the answer is “it depends.” While nonfiction usually makes up a greater percentage of overall book sales, novels are still viable and known to go viral! 1. If you’re making stuff up frequently, it’s a novel inspired by real events. 2. If what you are making up is very minor, if the book is 98% nonfiction, and if your narrative has a nonfiction prose style (as opposed to a novel prose style), you can call the book nonfiction. Feel free in your narrative to say things like “we could imagine a conversation between the two men would go something like this.” That way, the reader will know when you’re moving from strict nonfiction to projecting a possible situation that arose from nonfiction elements. The key is to be clear and honest about what’s fictionalized. You might also write in a forward that conversations have been imagined based on real life events. 3. Take the Richard Zacks approach. Zacks is shelved in nonfiction (see THE PIRATE HUNTER), but his books have the page-turner feel of novels. They are intense and fully imagined. Zacks does offer some hypothetical details based on fact (he will presume that Captain Kidd is crunching over oyster shells on his way to the docks, since shells were deposited as landfill in lower Manhattan and it’s entirely likely that Kidd DID crunch shells under his shoes at some point). Zacks manages to paint a vivid picture although his book is nonfiction, without bringing in too many truly fictional elements. It may be worth a look for you to check out his technique. But the real question is: What sells- fact or fiction? re: Gary Knight’s dilemma with his story that took place 500 years ago: My book took place 150 years ago and is now ‘on a desk’ with a publisher (fingers crossed). In the forward I called it ‘faction’ – a story based on true events and characters but necessarily fictionalised as far as conversations and unreported details went. My Afterword spelled out my own journey of discovery about my protagonist and which important bits were inserted to explain the actual history. That’s how I dealt with the problem. A slightly different problem I have is that I’m writing about real people and real events that occurred over 500 years ago. Yes, I’ve made up a few characters and attributed characteristics to real people who lived who happen to not have been famous. But I’m torn on whether to call it historical fiction after people like Jeff Shaara and others write about history and make up conversations that supposedly occurred that no one except the people directly involved could have recounted. So MUST I call my tome “fiction” or how do supposed historicans get around making up conversations? Thanks for writing this piece. I have written what I am calling a memoir, and by your definition, believe I still can. There are a few places where casual people I met who have a line or two in the book have names I didn’t remember but other than that all the circumstances of the book happened as told. The book is about an around the world transformational journey I was blessed to take in 1980. Working title “There’s a Lizard On My Ceiling.” if you’d like to read it. I’ve had to change the names in my memoir to protect the innocent (and not so innocent). This can be a sticky situation when your life story contains details that may hurt the people you love. My characters don’t come from any one place. I don’t think I’d ever write a character that was based closely on a real person. I use elements of real people and combine them into unique characters. This has always been a gray area for me — appreciate your clearing it up!